CCTV video analytics uses software algorithms to analyse the images obtained by the CCTV camera in order to detect alarm conditions, such as an intruders movements in a restricted area. The analytic software has greatly benefited the security industry as it has the potential for automating the task of continuously monitoring CCTV images. Each software install is tailored to your direct industry and property, available to control a wide array of tasks from perimeter defence to vehicle recognition. We utilise your existing CCTV systems to further reduce costs, allowing you to improve your security ten-fold without the need of completely restructuring your existing measures. Video analytic software offers algorithms that can detect objects of a specific size whilst ignoring objects that are irrelevant. This has eliminated the problem of detecting things like birds when you want to detect people and vehicles. These objects can then be tracked, taking into account perspective and will generate an alarm when specific conditions have been met. Analytic software can take many factors into account when deciding whether to activate the alarm. Attributes such as object size, direction and distance of travel and speed. It is programmed to ignore changes in light conditions and weather patterns, meaning that there is a very low level of false alarms. Normally situated outside, CCTV cameras with video analytics typically carry out tasks such as protecting the perimeter of high security premises. These cameras have been found to be cost effective and less problematic in the long term. Analytics allow you to manage multiple CCTV cameras effectively, ensuring that each camera is watched continuously and that nothing has been missed as the system automatically notifies you if a cameras alarm has been triggered. This enables less security personnel to monitor more cameras. 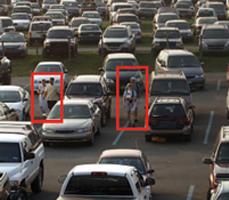 This entry level detection software has embedded algorithms that can identify people or vehicles from afar. Smart Scene triggers when an object remains within a scene for a given time, perfect to detect blocked exits. Smart wire allows the user to create a virtual perimeter anywhere within the given scene. This software recognises when an object, person or vehicle is removed or added to any given scene. CCTV analytics is basically the use of software algorithms to analyse the images obtained by the CCTV camera in order to detect alarm conditions, such as an intruders movements in a restricted area. The analytic software has greatly benefited the security industry as it has the potential for automating the task of continuously monitoring CCTV images.